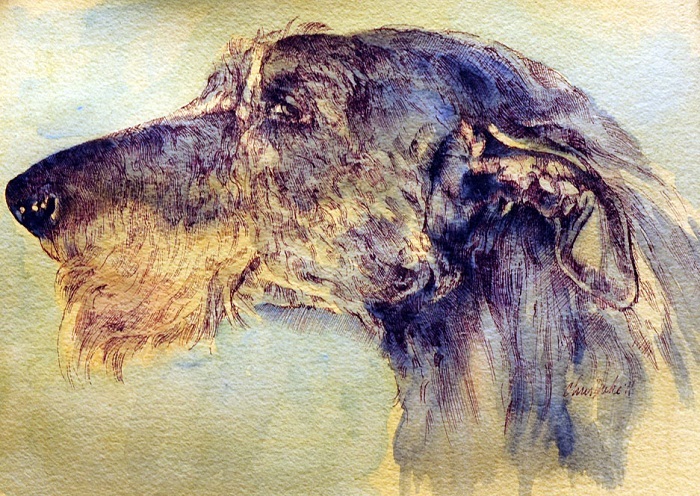 In preparation for the 2012 Westminster Dog Show poster art, I did some studies of Hickory, winner of the show in 2011. I detected a sense of play – almost a sense of humor – in Hickory. She now lives on a farm in Virginia where her puppies may just grow into Westminster champions themselves. Hickory also spends time working with cancer patients; she has a magnanimous heart.